Dublin-based leading hotel digital strategy company Bookassist (bookassist.com) has announced a strategic alliance with Dublin-based rate management technology company RateWise (rate-wise.com) to combine both companies’ rate management and smart distribution management technologies for hotels under a shared vision of giving hotels the best tools in the market to maximise profit per room. 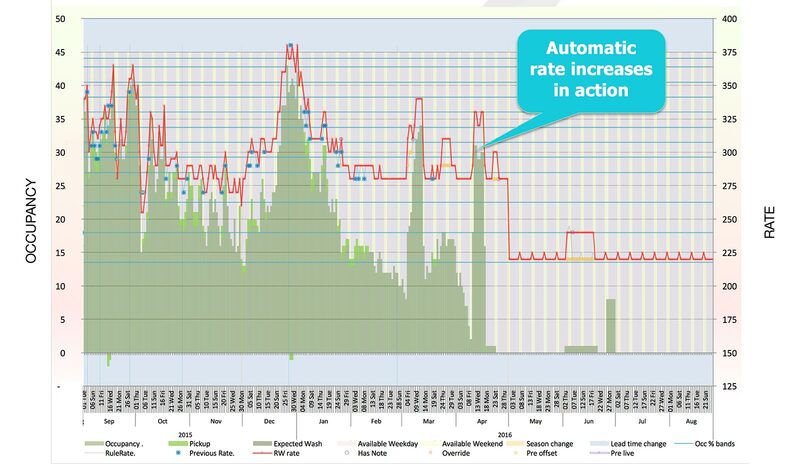 The newly-enhanced RateWise Rate Management System (RMS) directly controls rate feeds to both the Bookassist Booking Engine and Bookassist Distribution Manager to allow for dynamic rate changes in a hotel’s distribution based on changes in availability, lead time, length of stay, distribution channel and other criteria. Bookassist and RateWise will now jointly bring the service to all existing Bookassist markets. RateWise RMS is a cloud-based Rate Management System for hotels that calculates optimised room rates to ensure higher room sales at the best achievable rates. Every recommended rate is realistic and instantly traceable back to the property’s own rate rules and overrides. Through full integration with Bookassist systems, RateWise will help hotels optimise their rate not just for the short lead-in times that hotels typically concentrate on, but also for the increasingly problematic long lead-in times. The rate strategy developed is of course equally applicable offline and brings profit improvement across all of a hotel’s room sales. RateWise provides systems and consultancy to hotels with particular focus on the area of yield management, driving increased ADR and occupancy while minimising the hands-on time needed by a hotel to manage their rates. Formed in 2007, with offices in Ireland, Australia, Moldova and The Philippines, RateWise has a client base throughout Europe, Asia and Australia.